1. 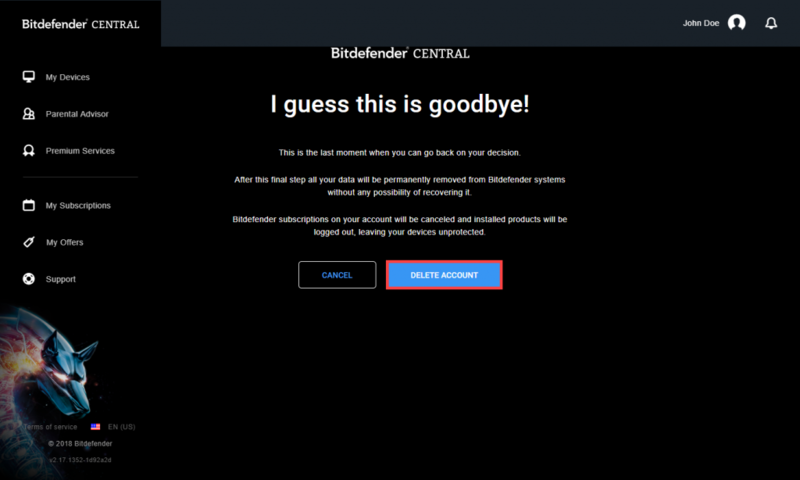 Go to Bitdefender Central and log in to your account. 2. Click on the Account Management icon in the upper right corner. 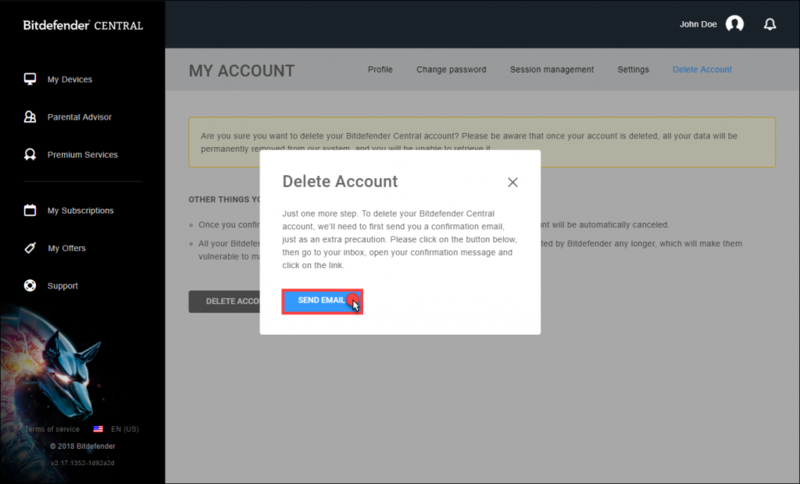 NOTE: If you still have a subscription in the account, you will not see the Delete Account option. 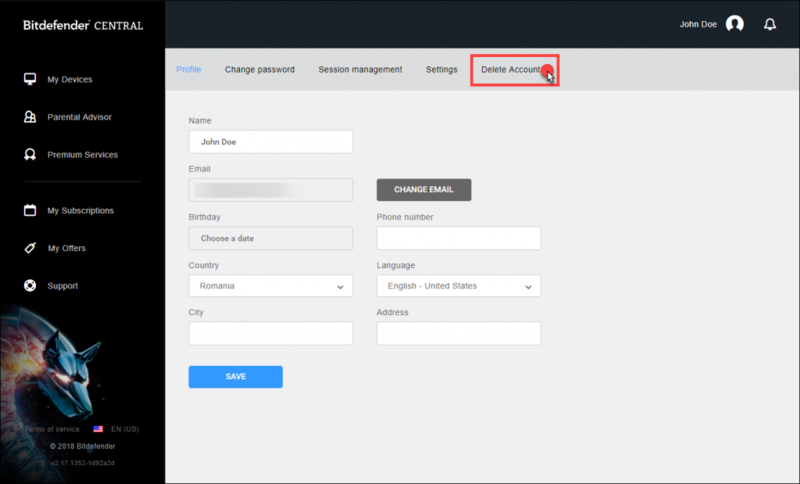 You can either wait for the current subscription to expire and then delete the account, or our support team can remove the subscription for you. 4. Go to the Delete Account tab. 5. Click on DELETE ACCOUNT. 6. As an extra precaution, you will receive a confirmation email. Click on SEND EMAIL. 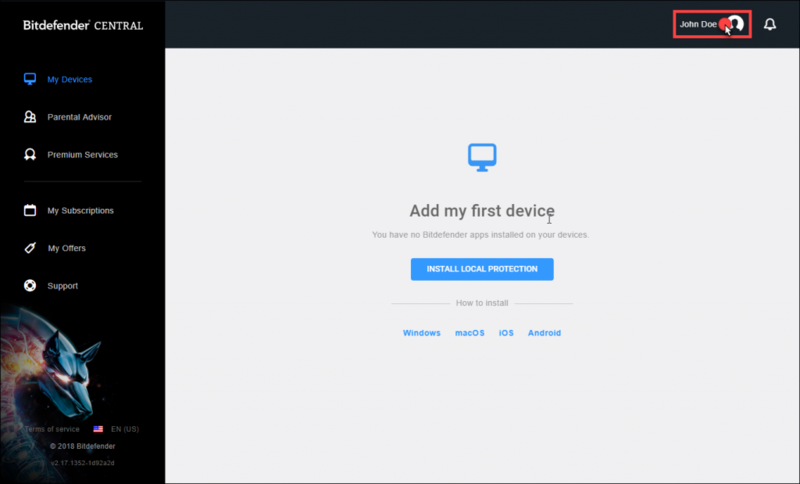 After this, the Bitdefender Central interface will not be accessible. 7. 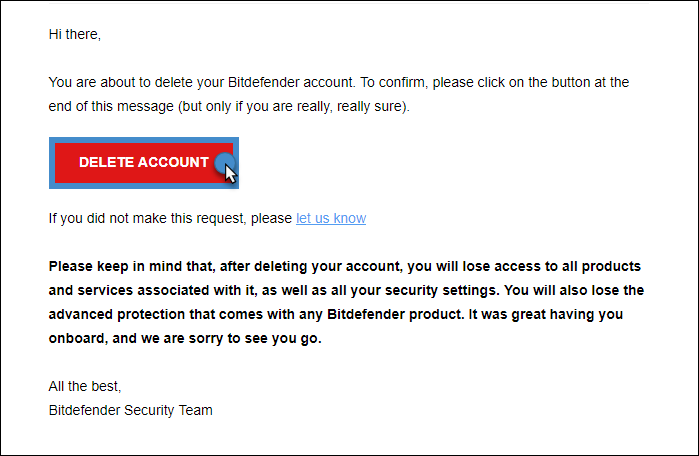 Log in to the email account associated with your Bitdefender Central account. 8. 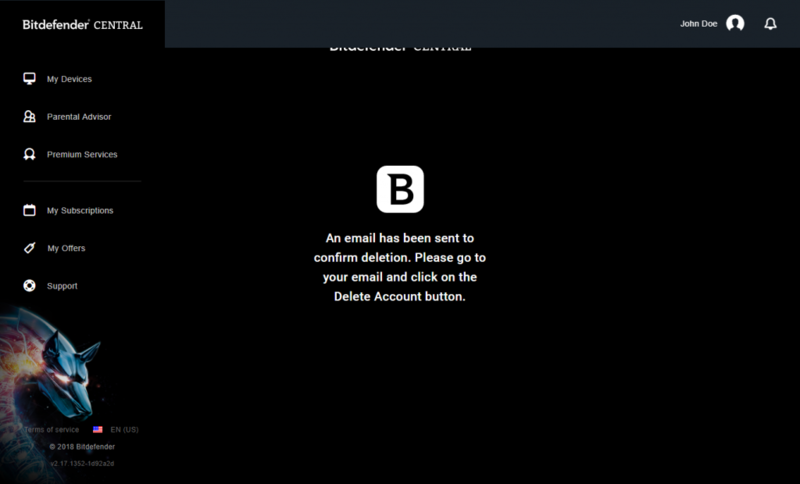 Open the confirmation email you received and click on the DELETE ACCOUNT button. 9. 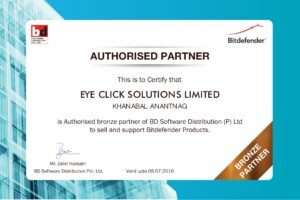 You will be redirected to the main Bitdefender Central page. Log in to your account again. 10. Finally, click on DELETE ACCOUNT. 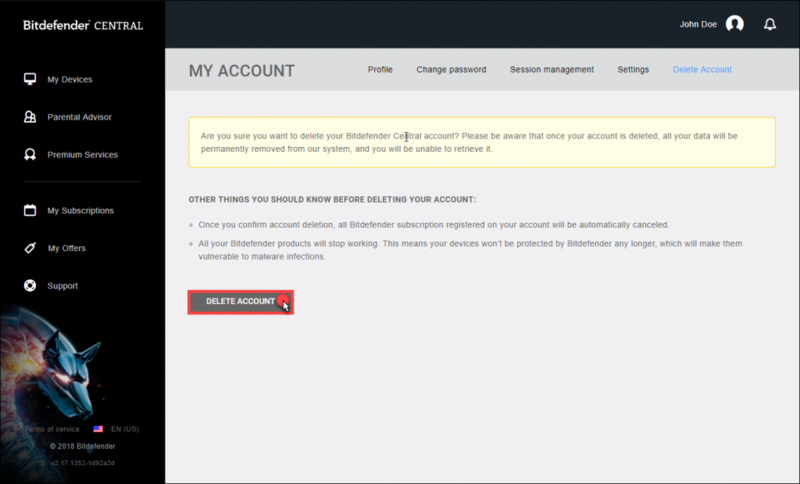 Your Bitdefender Central account is now disabled. NOTE: You can create a Central user account with the same e-mail address at a later date and you’ll be able to choose a new password.